Flights, Car Rentals and Hotel rooms, Cruises nation wide! Over 50,000 hits daily Worldwide! This site has investigation pictures, equipment and videos, and more. Formally part of Paranormal Explorers, this group has reorganized to utilize over a decade of experience to delve further into paranormal phenomenon with the goal of being able to provide resources and information to persons reaching across all borders. SGVPR offer results of their paranormal investigations on this site, plus true ghost stories, photos from area graveyards and definitions of terms. This group investigates things, beings, or activities that occur outside the norm of our accepted reality. SGRA is comprised of a staff that is highly knowledgeable and qualified in the investigation of the paranormal, UFOs, cypto creatures and government conspiracies. Includes investigation photos, member photos, calendar of events, equipment and more. This Jacksonville-based team investigates unexplained phenomena in residential properties, commercial properties, and historical landmarks – basically anywhere paranormal activity has been reported. Non-profit organization dedicated to ghost research, the investigation of phenomena associated with hauntings of paranormal, and offering assistance to those experiencing these unwanted and frightening events. This group, based in Atlanta, investigates hauntings and also focuses on the historical aspect of a haunting. The site includes investigations, haunted locations, stories, photos and more. PING is a non-profit organization that has a keen interest in paranormal science. They primarily do research in the North Georgia area; however, the location is not a limiting factor. PING will consider any location to investigate. This is a group of like-minded individuals who volunteer their time in an effort to research and investigate terrestrial paranormal phenomenon and help educate and comfort those affected by it. Paranormal Research and Investigation. Conducts investigations and experiments, and offers photos, stories, FAQs, news and more. Known at N.I.G.H.T., this team conducts investigations into any and all paranormal activities using scientific equipment to help identify hot spots and record their activities. Crossroads Paranormal is an exclusive group of seasoned paranormal investigators based in Indiana, whose main focus is to educate and empower individuals who are dealing with paranormal occurrences. "Bringing ghost information to Indiana and beyond," this group conducts investigations, offers ghost stories, has a forum and more. This group investigates using night vision surveillance, conventional as well as digital video and photography, various recording devices to capture EVP recordings, EMF detectors, digital thermometers and more. Providing investigations of western Illinois and eastern Iowa, this group's site offers photos taken at local cemeteries and information on ghost hunting. Scientific Investigative Ghost Hunting Team - research and investigations are conducted in a scientific, non-metaphysical manner, with emphasis on site-based environmental data collection. This group seeks evidence on any energy anomalies, ghost activity, poltergeist activity, apparitions, paranormal activity, orbs and the Unexplained. Founded in 1998 Official web site www.majda.net we gather to seek the answers to questions concerning the paranormal. What are spirits? What are ghosts? It is unknown at this time. We are trying to obtain scientific evidence that there are indeed events and everyday occurrences that do not conform to our beliefs in an everyday existence. Plenty of weird stuff here, including EVPs, investigation photos and how to request assistance in the investigation of a haunting. The MPRA's website offers a field manual, investigations information, photos, EVPs, a roundup of haunted places in Maine and more. This group's mission is to apply of scientific research of the paranormal, provide education, assistance and resources to new and existing paranormal organizations, the public and the media. Established to research and document paranormal activities of the supernatural and occult in the Baltimore area. Lots of information here, including Maryland hauntings, investigations, photography and ghost hunting tips, and much more. This website offers haunted areas in Maryland, paranormal definitions, pictures, ghost stories and the "toolbox" they use for their investigations. NEP is a team that investigates paranormal events in and around New England to help people with their paranormal problems. Steve Gonsalves from SciFi's Ghost Hunters. Which stands for Otherside Research & Investigations Of New England, seeking scientific identification and validation of the phenomena you may be experiencing. Their mission is to research paranormal activity, and to help others gain a better understanding of what they are experiencing through scientifically based research. Currently serving Massachusetts and the surrounding area. Paranormal research group in Meridian, Mississippi. Do you have unusual activity you would like us to check out? Do you want to learn more about our paranormal investigation work? Would you like to join the team? Feel free to request an investigation or apply to join the Orbservations Investigation and Research Team! All of our services are always FREE OF CHARGE! We want to hear from you! SPIRE is a non-profit paranormal investigation group located in North Mississippi, investigating hauntings and other paranormal activity. The Ghost Hunters of St. Louis, Transcendental Society are commited to solving the questions of the paranormal. They perform free investigations in your home or office. This group provides a comprehensive approach to paranormal investigations using historical research, witness interviews, the latest sensor and photographic technology, and investigative patience. Services are always free-of-charge. This team of experienced paranormal investigators and researchers combines a unique blend of both humanistic values and scientific techniques which result in a well-formulated, balanced approach to paranormal investigations and research. This group is committed to finding answers for those who live or work around paranormal activity on a daily basis, and help temper fears of the unknown. A St. Louis-based group of scientists and researchers who investigate ghosts, following reports of strange lights, apparitions, unnatural noises, voices and unexplained cold spots. Paranormal investigators searching for the truth - the how's, what's and why's in the paranormal field of investigations. Dedicated to the research and investigation of paranormal incidents. Umbria is based in Missoula, MT and focuses primarily on ghost and spirit investigation. This privately funded group in the Omaha, Nebraska and Council Bluffs, Iowa assists property owners in determining what paranormal activity is occurring in or around their property using science and state-of-the-art technology. With over 30 years of investigating the paranormal, John Zaffis has the resources and experience to help people in need and to spread the word of the reality of the supernatural. This is the home page of Ed and Lorraine Warren, perhaps the U.S.'s most well-known investigators of ghost and psychic phenomena. Includes photos and current investigations. SJGR is a professional research group with years of experience investigating ghosts and hauntings in New Jersey, Eastern Pennsylvania, Delaware and NYC.New York, Central, Ghost Hunters Society. This Syracuse-based organization conducts investigations and offers on its website photos, news, events, links and more. IMOVES is a small group of paranormal investigators located in Central New York which documents of paranormal activities. New York Ghost Chapter This organization of ghost and haunting investigators covers the New York City region. The website offers investigation photographs, member photos and membership information. New York Ghost Chapter Dedicated to the study of all forms of the paranormal. Seekers of paranormal activity associated with ghosts, based in the Mohawk Valley in Central N.Y. where the atmosphere is rich with ghostly lore of long past wars. 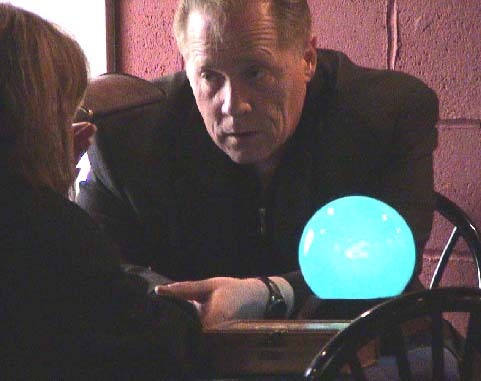 Based in Rochester, this dedicated group of professional psychic medium researchers and volunteers study and explore reported occurrences of the unknown. A Western New York-based paranormal research team investigating ghost and demonic activity throughout New York. Website has intriguing photos, evps, video, thought provoking articles, and news. Dedicated to the investigation of haunting and ghost phenomenon, as well as providing support to those experiencing these things. A database of personal investigations in conjunction with various reports and documentations on ghosts or other paranormal activity. This group's goal is to research paranormal occurances (mainly "ghosts"), and use this knowledge to help the community and further parapsychological/paranormal research. Investigates ghosts and hauntings in the northeast Ohio area. This group brings people together in the studies of the unknown, based in southern Ohio doing tri-state investigations of personal residences, businesses, cemetaries, historical sites and abandoned places. Ghost hunters based in central Ohio. Evps, photos, videos, ghost stories investigation and ghost hunt results. Includes articles on demons and ghosts, photo analysis, how to photograph ghosts, and a photo album. Includes details of many reputedly haunted places in the Toronto area. They will also conduct investigations. Founded in 1997, this group investigates and does research on haunted sites in the state that are rumored to be haunted. They have conducted more than 200 investigations. Professional organization of paranormal investigators serving Eastern Pennsylvania, New Jersey and Delaware to research, document and investigate ghostly phenomena. Our goal is to provide you with information about our exciting special events and overnight investigations in which you can participate. We also want to share our experiences with you as certified American Institute of Parapsychology (AIP) Field Investigators. The Adsagsona Paranormal Society was formed in September 2003 by a group of researchers and investigators who have quite a few years of collective experience among them. This group's goal is to obtain indisputable scientific proof of life after death while helping people understand and cope with possible paranormal activity in their homes or businesses. Investigations are confidential and free. A group of Memphians who document, both in film and audio forms, proof of paranormal activity. Dedicated and committed to the investigation, documentation and sometimes removal of paranormal phenomena across the British Isles. Good site with photos, videos, EVPs and information on Ouija boards and psychic phenomena, ghost maps and more. A small but professional group of men and women whose goal is to research and record paranormal activity in the Northern Utah area. This organization's site offers case files, editorials, reports, EVPs, theories, famous Virginia ghosts, chat and more. Includes information about haunted places in West Virginia, EVPs, photos, video, ghost hunting tips – and of course they do investigations. The WVPRI's website has listings of haunted WV places, stories, facts, a picture gallery, videos, ghost sounds and information on investigations. Many believe they are deceased ghostly life forms, and are believed to be the actual photographic proof of the human soul or life force.